Gubernatorial candidate Diane Black laughs as she mingles during the Hamilton County Republican Party's annual Lincoln Day Dinner at The Chattanoogan on Friday, April 27, 2018 in Chattanooga, Tenn.
Editor's note: This is the third in a series of stories profiling the major candidates for Tennessee's U.S. Senate and governor seats. This week, we will begin profiling candidates in the governor's race. Visit timesfreepress.com/politics to read previous profiles on the Senate candidates. Family: Black is married to David Black and has three children, Steve, 46, Jill, 43, and Katie, 40. Work: Before being elected to the U.S. House of Representatives in 2010, Black served in the Tennessee legislature as both a representative and a senator for a total of 12 years. She has also worked as as registered nurse and taught at Volunteer State Community College in Gallatin, Tenn.
Board member, Children Are People Inc.
More than 100 former and current elected officials including city and county mayors, state legislators, sheriffs, district attorneys, county clerks, road supervisors, registers of deeds, school board members, TNGOP SEC members, and congressmen. More than 100 former and current officers of Tennessee Federation of Republican Women, county Republican Parties, Tea Party Organizations and the Tennessee Republican Party including a former state party chairman. 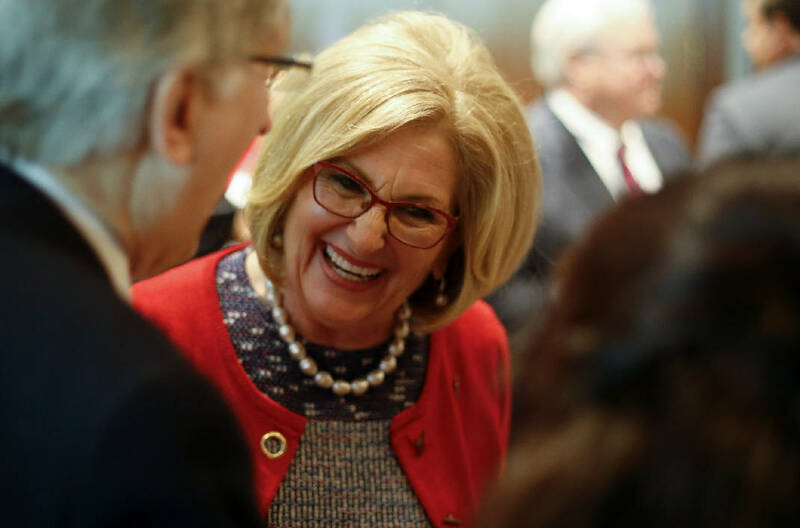 Diane Black was elected to the House of Representatives in 2010 and is the only Tennessean to ever chair the House Budget Committee. She was the only Tennessean to serve on the Conference Committee, which negotiated the final deal on the Republican-backed tax bill. Black sponsored the Balanced Budget Amendment to the Constitution and the No Budget, No Pay Act. Black’s legislation to cut off funding to sanctuary cities was approved by the U.S. House of Representatives. Black is a former Tennessee Right to Life legislator of the year and has sponsored legislation to limit abortion in Tennessee. Black authored the Defund Planned Parenthood Act to block all federal funding for the organization. Diane also sponsored the Conscience Protection Act, to protect the religious freedom of entities that refuse to perform, pay for, or refer abortions. Black was given the “Award for Conservative Excellence” from the American Conservative Union. *In the state legislature, Black sponsored SJR 127, which became Tennessee abortion measure Amendment 1. On most issues relevant to the current political moment, Tennessee's 6th District Rep. Diane Black walks in step with President Donald Trump. Trump didn't like it when NFL players took a knee during the national anthem to protest police treatment of African-Americans. Neither did Black. "My seats will stay empty until we have an appreciation for our flag," Black told a radio host last October, while explaining her boycott of Tennessee Titans games. Trump wants to crack down on "sanctuary cities" that don't cooperate with federal enforcement of immigration laws. So does Black. "Back in my home state the Nashville City Council has recently been advancing legislation to become a sanctuary city," Black said on the House floor last summer. "Giving federal funds to sanctuary cities defies logic, and it demands action." Trump bristled at criticism slung by former Chattanooga mayor and U.S. Sen. Bob Corker, R-Tenn. Black, too, bit back. "I'm sorry, but I think the Senate is an adult day care center," Black told radio host Hugh Hewitt after Corker slammed the White House as an "adult day care center." Trump says states should be allowed to impose work requirements on able-bodied Medicaid recipients. Black promises that, if elected governor, Tennessee will be one of those states. "I will immediately request a waiver," she said in a recent campaign statement. "It's not just about protecting taxpayer dollars from fraud and abuse; it's about creating a culture of work and the dignity that comes from that work." The 67-year-old former nurse and mother of three is very proud of her friendly relationship with Trump. "Diane you are great — thanks!" Trump penned, along with his signature. It's that link that has helped draw supporters. "That was important to me. I do support President Trump, and I like the fact that he befriended her and vice versa and that she appreciates his personal support," said Chattanooga resident and retired four star U.S. Army Gen. Burwell "B.B." Bell, who also endorsed Black because she supports veterans, defends gun rights and played a key role, as head of the House Budget Committee, in the passage of the Republican-backed tax bill. She's a career politician who has been consistently conservative on most issues for two decades. And, she emphasizes she is self-made, having climbed from poverty to wealth and stature. Her conservatism is rooted in her humble childhood, she said. Black said she lived in public housing until her parents, who were both "very conservative," could afford a modest home in Maryland. Hard work, she began to believe, was the ticket to the American dream. A supportive high school counselor encouraged Black to pursue a higher education even though her family could not afford tuition. She earned a scholarship to attend nursing school and became the first in her family to earn a degree. "I sewed my own clothes," Black said. "I know how to make Lincoln scream." Later, as a single parent, Black worked nights to support her family, and she said that experience also reinforced her conservative values. Her parents' Christian faith played a role in shaping her conservative political identity, as well. Her legislative record has earned her high praise from conservative groups, and grassroots operatives statewide, including Mark West, founder of the Chattanooga Tea Party, have thrown her their support. West, who owns Liberty Ridge Ranch in Cleveland, said he got behind Black — who is running against Republican primary challengers including Randy Boyd, Tennessee House Speaker Beth Harwell, Bill Lee, Basil Marceaux, Mark "Coonrippy" Brown and Kay White — because he trusts her. And it's a trust Black has earned, he said. Black first entered politics in 1998 when she ran for the Tennessee House of Representatives and won. Six years later, she was elected state senator, and then in 2010, she was elected to Congress. During her early years in office, she also taught at Volunteer State Community College in Gallatin, Tennessee. If she wins the GOP primary on Aug. 2 and prevails in the November election, she would be the first woman to ever hold the governor's seat. "She has a track record everyone can look at. It is clear what she has done and what she has stood for," West said. Many conservatives, including West, oppose giving in-state tuition to immigrants living illegally in the state, and West said he believes Black would veto such legislation, should she be elected governor this fall. Black has certainly promised as much. "In-state tuition is a benefit provided to legal residents of our state, and it should stay that way," Black said in a statement when the state legislature was debating a bill that would allow some immigrants living here illegally to qualify for in-state tuition. West, who is not a Trump supporter, said he knows some said "ultra-perfectionists" among grassroots conservatives take issue with some things in her political past. A radio advertisement funded by Tennessee Jobs Now PAC has pointed to Black's vote in favor of a 2001 bill in the Tennessee state House of Representatives, which would have allowed immigrants living in the country illegally to get state-issued driver's licenses. "There are things that folks have picked apart on Diane that are distorted and in the past. It's silly to think that people don't change," he said. "They will change for political reasons and sometimes for rational, logical reasons." The same PAC has run radio advertisements accusing Black of steering no-bid state contracts to her husband's business while serving as a state senator. In 2012, Aegis Sciences Corporation, a drug-testing company owned by Black's husband, David, sued Black's then-Republican opponent Lou Ann Zelenik for running a similar ad, which Aegis claimed was false and defamatory. The company's earnings have helped place Black among the wealthiest members of Congress. Tax returns show Black and her husband had $78.6 million in taxable income between 2013 and 2016. That ad said, "Black's spending spree included a million bucks for a drug testing company big spending that hurts every Tennessee family except hers," court documents show. A Davidson County Circuit Court judge ruled on the side of Zelenik, who argued the ad couldn't be defamatory because it was true, First Amendment protected speech, and the Tennessee Court of Appeals upheld that decision. "Aegis does not deny that its contractual relationship with the State generated revenue in this amount," the appeals court decision read. "Whether the advertisement states or implies that Mrs. Black's voting record was influenced by Aegis's contractual relationship with various departments of State government, and the veracity of any such statement, is not the issue in this case." Still, West said Black is the strongest contender if conservative Christians want a conservative Christian in Nashville. 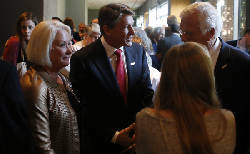 In April, a poll by the D.C.-based Save the Children Action Network found Black had a lead (25 percent) over Knoxville entrepreneur Randy Boyd (20 percent) for the Republican nomination. Black, who said she is running for governor because she wants to be a servant leader, has assured supporters that she will bring conservative, Christian values to Nashville. "Both sides (Republican and Democrat) agree that America has serious foundational issues," said West. "They won't be fixed by tax bills and increasing liberties. As an evangelical Christian I believe that life and family are the biggest issues, a mom and dad and children. I go back to the garden of Eden to understand that." Black's advertisements speak to culturally divisive issues that cross state lines and attempt to define her as the truest conservative in the race and the one closest to Trump, said Bruce Oppenheimer, professor of public policy and education at Vanderbilt University. Republicans "are talking about national issues as if the governor of Tennessee can have power on immigration issues," Oppenheimer said. "So even the more moderate are painting themselves as really conservative people, and they think that is what you have to do to win the primary." In essence, Black is saying she wants to bring the White House's values to Tennessee and she's spending a lot on advertisements to make that clear, he said. Her campaign has raised more than $6 million total and more than $3.3 million in the first quarter of 2018. And the decision will both help and hurt her, he said. "My gut feeling is that she has solidified herself with a chunk of the Republican electorate." But can she maintain it? Oppenheimer said no one can predict.